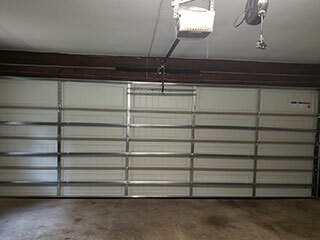 Any electro-mechanical device as complex as your garage door opener is bound to experience some issues over the course of its life. Our local technicians will repair any malfunctions to help you prevent potentially dangerous hazards from developing. There are 3 unique systems commonly used for different openers - chain, belt and screw-drives. Chain-drive units may be loud, but they are dependable and affordable. Belt-drive units are a great choice for those who are willing to spend more for silent operation. Screw-drive units don’t require a lot of maintenance, but can still operate a bit noisily. Many manufacturers offer models with features that differ. For example, LiftMaster and Genie openers both use a rolling code technology to deter thieves from hijacking the remote and gaining your system’s access codes. The codes vary each time the unit operates in order to diminish theft. Other extra features to opt for are Wi-Fi compatibility and a backup battery system. It’s best to consult with an expert before deciding on the special features you want. If you want to ensure that your opener stays in optimum working condition, then it's vital that you service your unit regularly. Our team will check the various components to make sure that they are in good working order. These components include the motor gear, the circuit board, the trolley and the rail. If we discover that something is deficient, our team will fix or replace any damaged component on the spot. We'll also conduct testing on your unit’s photo-electric eyes and perform realignment as needed on your safety sensors so that your door retracts properly when there’s an obstacle blocking its way. Our team at Garage Door Repair Moorpark is here to help you with any opener-related needs you have. Whether you require a quick repair or regular maintenance to ensure your unit is in good working order, you can rely on our professional technicians for assistance. Give us a call today!